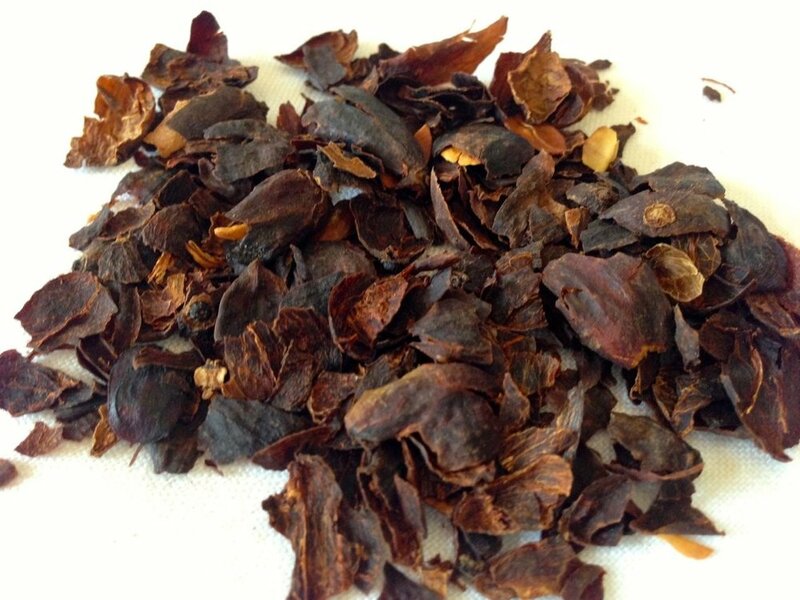 Cascara 'tea' is made from the dried coffee cherry skin or husk (cascara means 'husk' in Spanish). We process the coffee fruit in the natural (dry) method which allows the whole fruit to dry together, preserving all of the fruit's sweet and complex flavors. Once dried, we let the whole fruit rest for a month and then we carefully separate the cascara from the coffee seeds/beans. The cascara is then aged for at least six months allowing the concentrated natural sugars, vitamins and antioxidants to create a delicious 'tea' beverage hot or cold. This 'tea' has caffeine levels comparable to black tea. Natural and sustainable, Cascara is an exciting way to enjoy coffee in many new and creative ways. Our cascara goes through an extremely meticulous sorting process at multiple stages from the raised drying beds to the mill. This uncommon approach to quality produces the cleanest tasting cascara and a delightfully flavorful drink. We offer our Cascara in small quantities at our online shop. If you're interested in larger quantities, please contact us and we can discuss our wholesale offering.